A pall of darkness descended on the nation’s judiciary on Friday night and the early hours of Saturday, as gun-wielding security agents swooped on the residences of senior judges, breaking doors and threatening to harm their family members and aides. The raids were carried out by agents of the Department of State Services in Abuja, Port Harcourt and Gombe. The judges affected are of the Supreme Court and Federal High Court. At least two of the judges had recently ruled against the DSS and condemned its disregard of the laws of the land during its operations. The actions of these agents of state, observers say, are reminiscent of the executive lawlessness and human rights abuses that characterised the nation’s military era, including the period that President Muhammadu Buhari spent in power as a military dictator. Expectedly, the actions of the agents attracted widespread condemnation from Nigerians with the Nigerian Bar Association, declaring a state of emergency in the judiciary and asking for the immediate release of the judges. The DSS, at the end of the operations, which lasted at least 12 hours, arrested Justices Sylvester Ngwuta and John Okoro, both of the Supreme Court bench, as well as Justice Adeniyi Ademola of the Federal High Court in Abuja. Justices Ademola and Dimgba’s duplexes are separated by a fence at the Apo Legislative Quarters, Abuja. Justice Dimgba occupies 30A, while Justice Ademola lives at 30B. 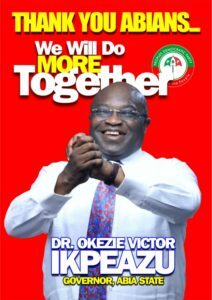 Both houses are on S.O Ogbemudia Crescent, Zone E, Apo Legislative Quarters. The two judges, it was learnt, do not have their family members living with them in Abuja. Our correspondent visited the houses of the two Federal High Court judges early Saturday morning. A security guard and stewards, who witnessed the operation at Dimgba’s place, confirmed the incident to our correspondent. They said the DSS operatives had no cause to apply force as the judge had let them in without any resistance. The sources said Justice Dimgba complained after the departure of the DSS operatives that they (the security agents) left with a bag containing the drafts of judgments which the judge was meant to deliver next Tuesday. One of the sources said, “The judge got to know of the presence of the DSS operatives at about 8pm on Friday after he was alerted by his security guards. About 20 of them surrounded this house and that of Justice Ademola. “About an hour later, they sought to enter the house and they were let in. On getting in, the judge asked for their search warrant and they promptly produced one which bore Justice John Nyang’s name. The judge made them to realise that he wasn’t Justice Nyang and they produced another one bearing Justice Ademola’s name. “Justice Dimgba again said he was not Justice Ademola. They promptly apologised that there was a mix-up but that they had instruction to search his place. Sources who witnessed the search at Justice Ademola’s residence said the event played out like a movie. The judge reportedly locked up himself in his room, on the second floor of the duplex, telling stewards on phone that he had travelled out of Abuja. Armed with a search warrant and the conviction that the judge was inside the house, the DSS reportedly pulled down the door at about 1 am on Saturday. They also broke an iron door to the living room and made their way upstairs to the judge’s bedroom. Our correspondent met the door to the porch lying on the ground in front of the judge’s black Sport Utility Vehicle. The components of the door lock to the living room were also found scattered on the ground. The doors to an empty wardrobe in an unused bedroom downstairs were met open. Dead insects littered the floor of the room which stewards said was not being used. One of the stewards said, “We noticed the presence of the security operatives at about 6.30pm on Friday and we immediately called oga (the judge). Oga told us that he had travelled. So at about 8pm, the DSS men jumped the gate into the premises. “They asked us if oga was around and we told them that we had called him and that he said he was not around. At some point they called me and they said I should call him in their presence. I did but oga insisted that he had travelled. They later made attempts to break into the house. On learning that it would be difficult to break in with their boots, they sent some of their men to fetch equipment. Those ones went and later returned with equipment which they used to remove the door at about past 1 am. “Throughout the period they carried out the operation, they asked all of us on the premises – stewards and security guards – to stay with them. Our correspondent was unable to gain access to the residences of Justices Okoro and Ngwuta but it was gathered that the operation at Okoro’s house lasted till about 9 am on Saturday. Both justices of the Supreme Court were arrested and driven away by security operatives. In Port Harcourt, the Rivers State capital, the raid carried out by the DSS was also with a great deal of drama. Our correspondent reports that it all started in the early hours of Saturday when scores of DSS agents besieged the house of a Federal High Court judge at No. 35, Forces Avenue. Speaking with SUNDAY PUNCH, a source, who is one of the workers in the judge’s residence, said he had received the report of the tense situation at the gate from his colleague, who was on duty when the security agents stormed the residence. The source said, “I was not on duty then, but the person that was on night duty gave me a report of what happened. He said when they (security agents) came and ordered that the gate be opened, the policeman guarding our boss told them it was late, and as such, he (policeman) would not open the gate for anybody. The state Police Public Relations Officer, Mr. Nnamdi Omoni, said the police was only at the scene to ensure there was no breakdown of law and order. “The DSS went to effect the arrest of a judge and the atmosphere became tense. In his (state Police Commissioner, Mr. Francis Odesanya) wisdom, he was able to go there and calm the situation. “We (police) were only called up to assist and we went there to discharge our constitutional mandate by ensuring that there was no breakdown of law and order,” the police spokesman stressed. 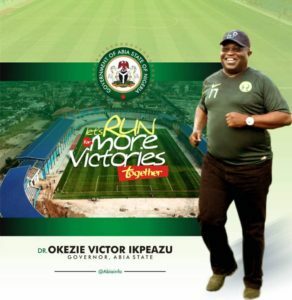 “The illegal failed abduction was led by Mr. Tosin Ajayi, Rivers State Director of the DSS; and Rivers State Police Commissioner, Mr. Francis Odesanya. “The operatives of the DSS manhandled Governor Wike, pushing him around and injuring his hand. A few of the operatives cocked their rifles and threatened to shoot the governor. “They were irked by Governor Wike’s arrival at the scene shortly after the failed abduction process began. The governor received security information on the illegal moves, minutes after the operation started. “The security operatives blocked the entrance of the residence of the judge at about 1am on Saturday morning, claiming that they were acting on orders from above. As they dragged Governor Wike, they insisted that they must be allowed to leave with the judge,” Nwakaudu’s statement read. Wike, who later spoke with journalists, described the action of the security agents as dangerous to the nation’s democracy and added that he was not sure that President Muhammadu Buhari was aware of it. He said, “Not under my watch will I allow this kind of impunity to take place. That is why we are here. I don’t know which judge they were detailed to abduct. All I am interested in is that, at this level, it is not allowed. 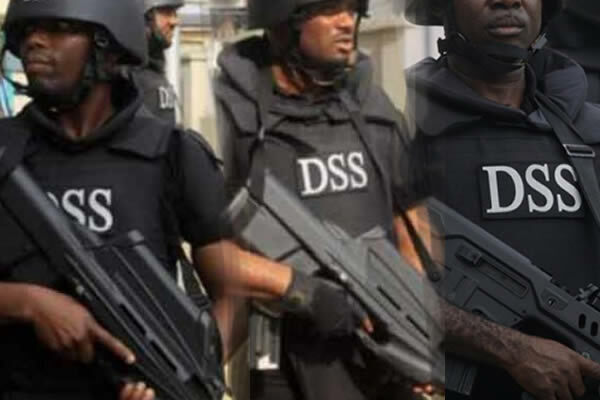 The DSS on Saturday said its action was a follow up to what it described as an outcome of a “special sting operation” which it said involved some judges of Supreme, Appeal and High courts. 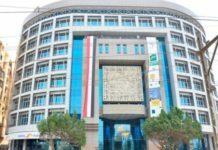 A senior officer of the security agency, Mr. Abdullahi Garba, who spoke with journalists in Abuja on Saturday, insisted that the action would be sustained. Garba said, “The DSS action is in line with its core mandate, as we have been monitoring the expensive and luxurious lifestyle of some of the judges, as well as complaints from the concerned public over judgments obtained fraudulently and on the basis of money paid. While saying some of the judges had made useful statements on the allegations against them, he added that a few of them declined. He added that in one of the states where the operations were conducted, intelligence report indicated that a judge had the sum of $2m in his house. 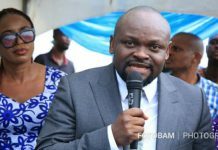 Garba said, “When he was approached for due search to be conducted, he in concert with the state governor mobilised thugs against the DSS team. 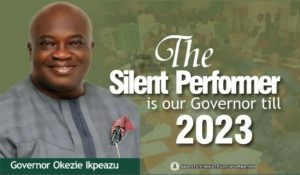 “The team restrained itself in the face of unbridled provocative activities by those brought in by the governor. Unfortunately, the judge and the governor also engaged the tacit support of a sister security agency. He added that a large amount including foreign/local currencies had been recovered from three of the judges. He gave the summaries of these to include: N93,558,000.00; $530,087; £25,970; and €5,680 (a total of over N270m). Garba further declared that the current operation would be sustained and followed “till sanity and sanctity are restored to the esteemed third arm of government and public confidence is regained.” He refused to take questions after the briefing. At the NBA briefing, the association’s president addressed the press alongside four past presidents – Chief Wole Olanipekun (SAN), Dr. Olisa Agbakoba (SAN), Mr. J.B. Daudu (SAN), and Augustine Alegeh (SAN). 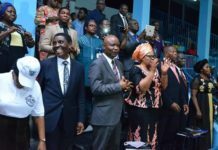 Others in attendance at the declaration, which held at Eko Hotel, Victoria Island, Lagos State were Prof. Konyinsola Ajayi (SAN), Mr. Yusuf Ali (SAN) and Mr. Dele Adesina (SAN). NBA President, Abubakar Mahmoud (SAN), said two Supreme Court justices, Inyang Okoro and Sylvester Ngwuta, were “abducted” with their families, adding that he had yet to receive the full details of other judges who might have been arrested. The NBA condemned what it termed the “Gestapo-style operation of the DSS.” He (Mahmoud) announced the constitution of an emergency or crisis management team, comprising past NBA presidents to engage with the government. 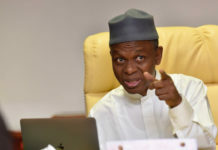 Mahmoud, who said it was not the responsibility of the DSS to arrest judges, described the DSS’ action as an unconstitutional means of intimidating the judiciary and undermining its independence. Mahmoud said, “We, therefore, call on President Muhammadu Buhari to immediately caution all the state security agencies and to respect the rule of law and follow due process. “On any issue affecting the judicial officers, there are established procedures for handling them and we demand that this constitutional process be obeyed. “Given the unfolding nature of the event and the seriousness of the situation, the NBA hereby declares a state of emergency as it affects the affairs of the judiciary and I hereby constitute a crisis management team, comprising all past presidents of the association. 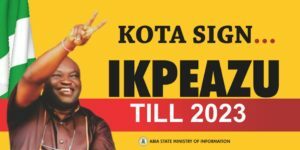 “I want to, on behalf of the association, make the very following clear and unequivocal demands: we demand the immediate and unconditional release of all the judges abducted from about 9 pm yesterday (Friday). Ekiti State Governor, Ayodele Fayose, described the invasion of residences of the judges as a direct assault on the judiciary. 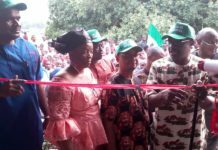 Addressing journalists on Saturday in Ado Ekiti, Fayose said, “It should now be obvious to all Nigerians and the international community that democracy is under threat in Nigeria and Nigerians must rise to save democracy from being truncated. “For all intent and purposes, there is no how the Federal Government can justify the Gestapo(-like) crude action of the DSS against our judiciary, the last hope of the common man. I believe they just want to hide under anti-corruption fight to blackmail and intimidate the judiciary. If not, have the affected judges been reported to the National Judicial Council, the body saddled with the responsibilities of investigating and sanctioning erring judges? Fayose noted that two of the judges involved, Justice Adeniyi Ademola and Justice Nnamdi Dimgba, recently ruled against the DSS and condemned its impunity in the cases of former National Security Adviser, Col Sambo Dasuki (retd.) and a retired Air Commodore, Umar Mohammed. “It should be noted that few days ago, the NJC sacked three judges for breaching the Codes of Conduct for Judicial Officers and went further to recommend that one of them, Justice Kabiru M. Auta, be handed over to the Inspector General of Police for prosecution for alleged corruption. “If NJC could do this less than one week ago, has the same NJC been informed of any allegation of corruption against the judges whose residences were invaded?” the governor asked. The Yoruba socio-political group, Afenifere, lawyers and some human rights groups on Saturday also condemned the invasion and arrest. The National Publicity Secretary of Afenifere, Yinka Odumakin, in an interview with SUNDAY PUNCH, said the group was shocked by the actions of the DSS. He stated, “It is executive lawlessness and usurpation of investigative functions of the judicial arm of government. It was not done with the authority of the National Judicial Council as stipulated in our constitution. A Senior Advocate of Nigeria, Mr. Adegboyega Awomolo, described the invasion as the height of corruption. Awomolo said, “Let the good people of the world note that this is a move to demystify, denigrate and ridicule the judiciary after humiliating the legislature. But a human rights activist, Dr. Jackson Omenazu, said there was nothing wrong with the time the security agents came to arrest the judges, adding that since a judge has no immunity, no law stops the DSS from effecting his/her arrest. He said, “While I condemn the attitude of the judiciary because justice in Nigeria today appears to be for sale or for the highest bidder, due process must be adopted before arresting anybody. 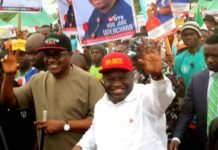 The activist, however, said Governor Wike overstepped his bounds by going to the scene of the incident, adding that he (Wike) could have intervened from a distance.